Officially now it is the off season for Triathlon with the final big race finishing this month but for me really there was no season down to injury. I have decided not to sulk about this year, I can’t change what happened so I ‘m focusing on next year and staying injury free. At least the forced rest has allowed me to grow quickly; all I have to do now is to get use to the extra height and pounds. October for me has been the best month, finally I have been given the all clear to start running again OUTSIDE! I am finally running on the road only for 25 minutes but for me this is amazing to just be out. I have had no pain in my leg and my physio is keeping me in check. At the start of the month I was treated to a week’s holiday with my Mum and Dad, we haven’t been away together for a few years. We went to Majorca and stayed just outside Palma in a great hotel called the Fontanellas Playa, only a five minute transfer. We cycled every day, except for one to have a rest day in the middle of the week. 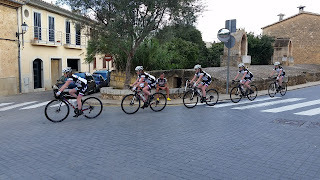 We averaged over 55 miles a day, including some climbs and lovely descents and scenery. I have to say compared to places I have had been to on training camps this beats them all. For anyone looking for their first training camp cycling or triathlon this is the place to do it. 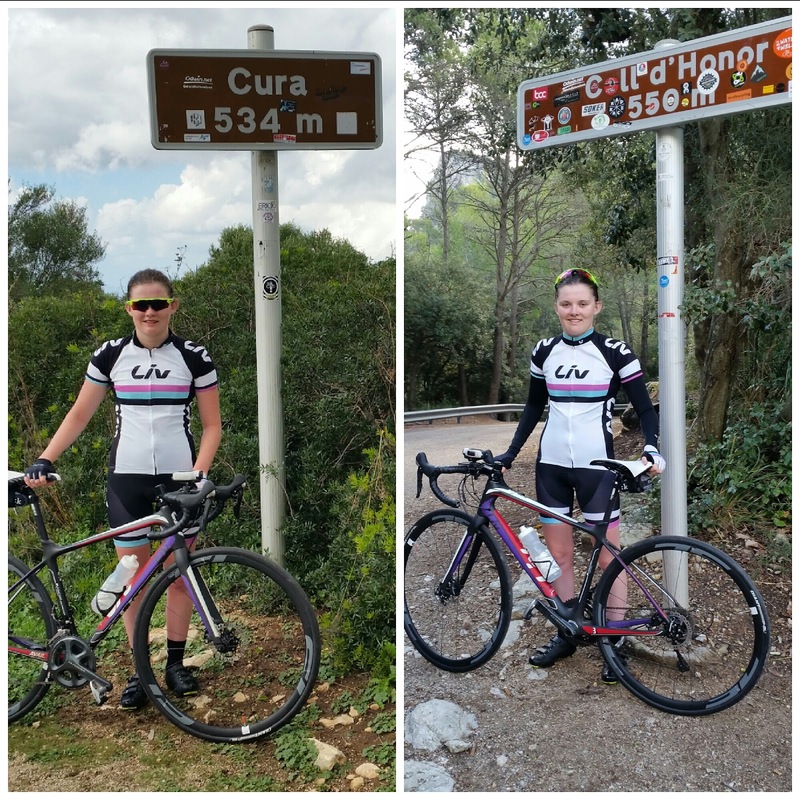 Amazing bike shops to hire bikes, sea swimming, running along the sea front and plenty of great cycling routes on quiet roads with brilliant views. All the rides I rode are on Strava so if anyone would like to have a peak give me a follow. I can’t find anything negative about this holiday so if anyone is looking to go on a cycling holiday I think Majorca is the place for you. After returning from my cycling holiday, I’m feeling strong and all parts of training are going in the right direction for next season. I have decided not to go to university this year and stay home and work and take some coaching qualifications. I am already a level 1 swim teacher and I am aiming to do my level 2 at the start of next year. Next month I have a Jaguar Academy day at Ben Ansilie Land Rover BAR Team HQ for a day which I am very excited about and also the possibility of a 3 day training camp at Sherwood Pines, mountain biking with West Midlands Academy. A big thank you to Liv and Giant Uk for my new kit and helmet, you always look after me and the support is much appreciated. I always receive lots of compliments on how good the kit looks! Thank you to Jaguar Academy for the financial support and academy days, I have learnt so much and the media sessions have been a great help. The financial help has helped me with my recovery covering the costs of my physio. Finally thank you to The Bike Yard for their continuing support, servicing my bike and just being such a great shop.